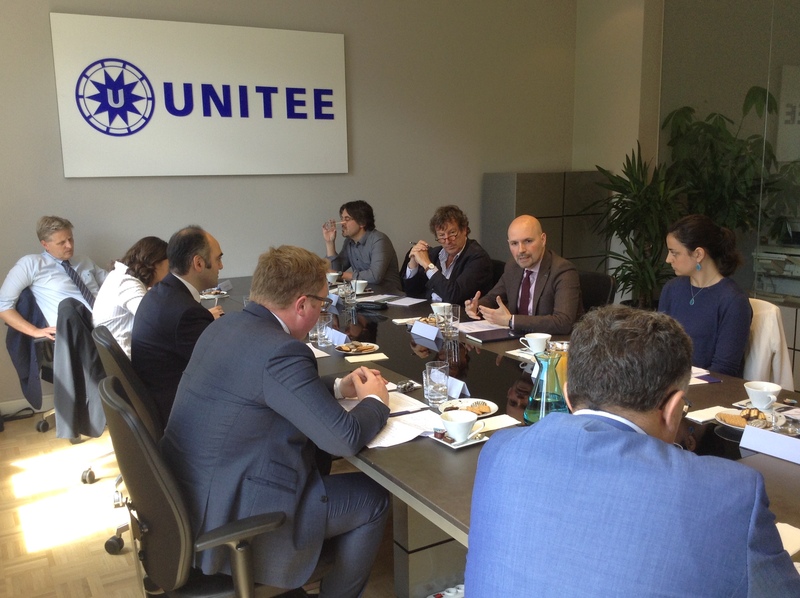 On the 6th of June, UNITEE hosted its yearly expert informal roundtable, this year dedicated to the key role of civil society in fostering EU-Turkey relations. UNITEE’s President Adem Kumcu, together with MEPs, and representatives from NGOs and trade unions, all of them with ties with Turkey, discussed possible solutions civil society organisations can provide in order to keep Turkey part of Europe. The recent political developments in Turkey have seen a deterioration of the rule of law in the country and one of the main victims of this unstable situation has been the civil society. The most important message delivered by the speakers was to keep the dialogue open with everyone, from trade unions, to business professionals to those supporting the Turkish government, without cutting ties. UNITEE, as the main civil society organization representing migrant entrepreneurs in Europe, shares this important message, and advocates for the role of civil society to keep the Turkish and European societies and economies close to each other, even if their respective governments drift apart.